The incident occurred around 9:30 p.m. Saturday near Interstate 17 and Indian School Road. 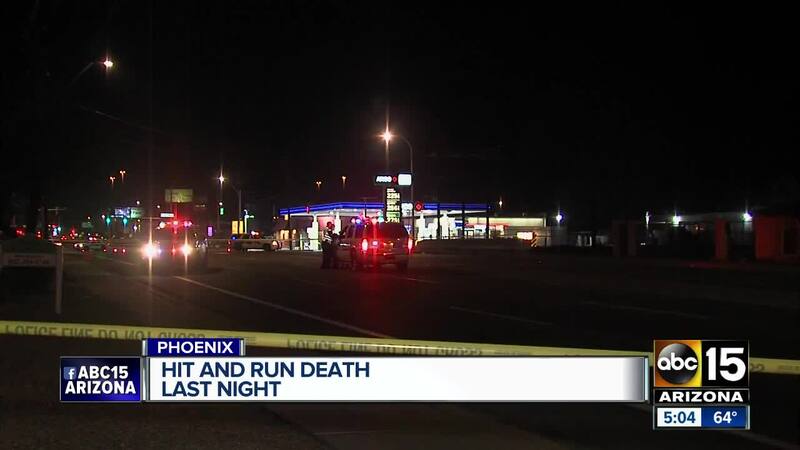 PHOENIX, AZ — A pedestrian who was struck in a hit-and-run Saturday night has died, according to Phoenix police. The incident occurred around 9:30 p.m. near Interstate 17 and Indian School Road when 58-year-old Leslie Etsitty was walking westbound on Indian School Road. Police say Etsitty was struck by a white Ford F-150. The driver of the F-150 did not stay on scene after striking Etsitty. Etsitty was taken to an area hospital where he was later pronounced dead. Authorities are looking for the driver who fled the scene.